On Fridays, we close our books and focus on fun – but the learning doesn’t stop. Sometimes, we collaborate on large-scale projects tied to our studies. In the past, we’ve created an authentic archaeological dig, a model Colonial American village, and a Civil War field hospital, all in our playground. 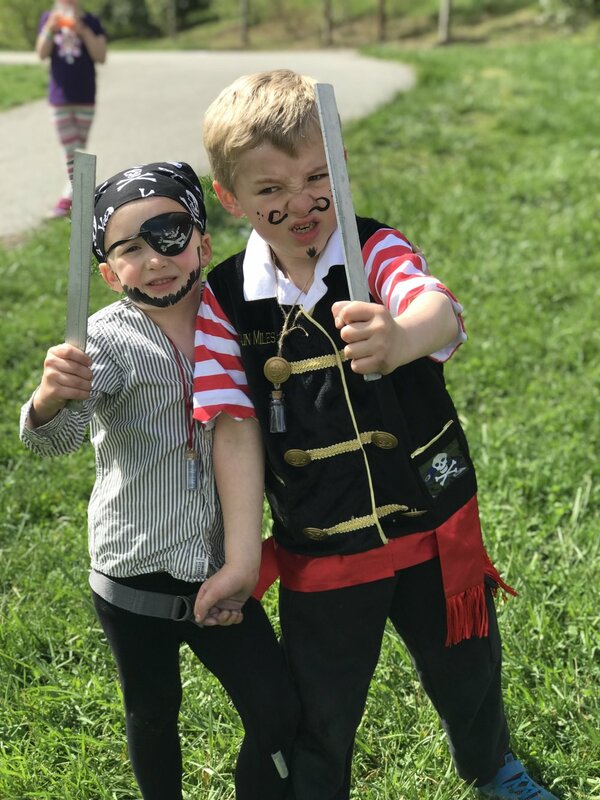 These full-day historical re-enactments are the highlight of the school year for our students, as well as a core part of the educational experience at The New Classical Academy. Friday is also our day for community service. Each month, students spend a morning volunteering with local organizations whose missions particularly resonate with the age group. Some Fridays we go on field trips to explore our area’s many cultural and natural resources. We’ve visited Sky Top Apple Orchard, Urban Dharma, Emerald Village Mining Museum, Gray Fossil Site, and the Vance Birthplace. Friday is also a day for special on-site activities with parents and community members. 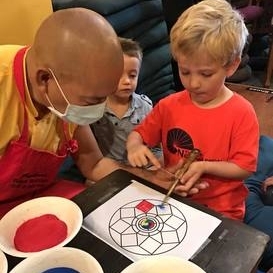 Students have studied whales with conservationists, discussed a doctor’s experiences treating patients in Haiti, made sand mandalas with Buddhist monks, and heard Native American legends from a traditional story-teller.